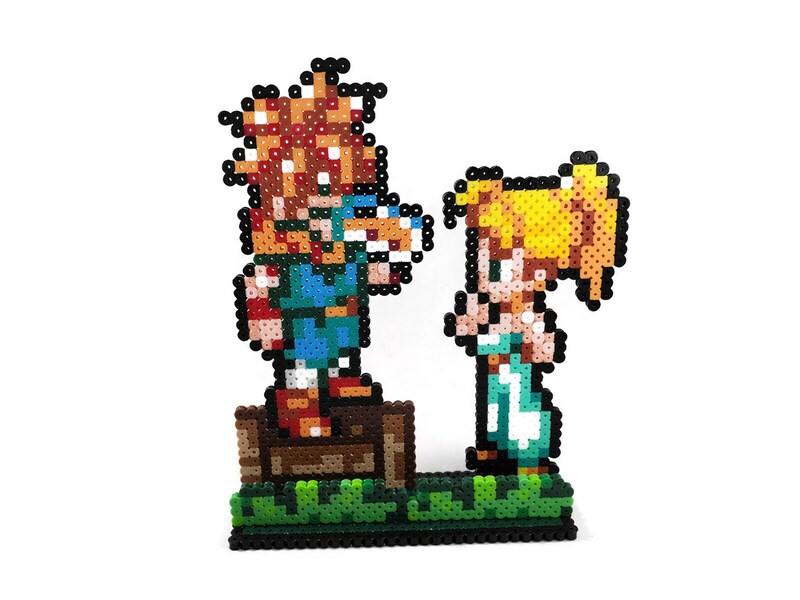 Here's a multiple-piece scene of Crono and Marle from Chrono Trigger. The scene consists of 3 removable pieces (Crono, Marle, and foreground grass) on the base. Each piece snaps into the base and can be taken out for easy storage. Makes a great decoration for you or the gamer in your life. It could also be used as a cake topper on a sheet cake! This set is hand-crafted from plastic fuse beads. A mix of fuse beads from 3 different companies is used for maximum color variety and detail! These beads are food-grade non-toxic and safe to put in a cake. 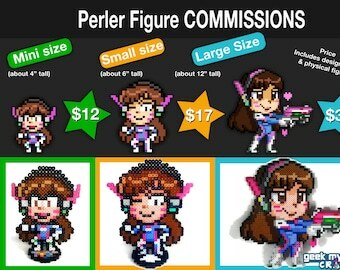 Perler Bead Pixel Art Figure Commissions - You Pick Any Character or OC! Kissing Couple Shipping Perler Bead Pixel Art Figure Commissions - You Pick Any Character or OC!